Complimentary parking is available in William B. Dean Park surrounding the theatre. Entry to the park is off of Blackburn Street near the Turtle Creek Boulevard intersection. Parking spaces are limited and open to the public, so we recommend arriving to the event early. Restrooms are located in the lower lobby. An accessible restroom is located in the main lobby next to the Box Office. 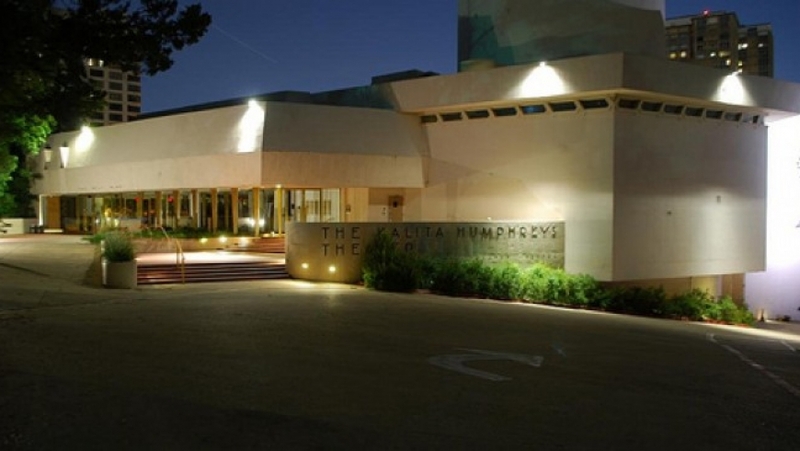 The Kalita Humphreys Theater welcomes all patrons and offers a variety of services to meet special needs. Patrons may be dropped off at the west entrance for easy lobby access. We recommend patrons with mobility issues be seated in the Left and Right Loge sections for the easiest access into the performance hall. The Mezzanine section is only accessible by stairs. Assistive listening devices are available free of charge by exchanging a photo ID at the Box Office. Concessions, including soft drinks, beer, wine, liquor and light snacks, are available for cash purchase in the lobby. Beverages are allowed into the performance hall for some, but not all, events. The Dallas Theater Center committee approached Frank Lloyd Wright to design a theater on land donated by Sylvan T. Baer along the picturesque Turtle Creek. Wright, busy at the time with other projects, suggested that if the committee could use a plan already in his files he would agree to the project. The original design had been created for a West Coast theatre in 1915 and later adapted for Hartford, Connecticut. Neither of these theatres were built for various reasons, and the design was adapted for Dallas. Construction began in 1955 and was completed four years later, nine months after Wright’s death, at a cost of more than $1,000,000. The Kalita Humphreys Theater opened on December 27, 1959, with the first play being “Of Time and the River” by Thomas Wolfe. The theatre took its name from an actress who worked with Paul Baker, the first director of the Dallas Theater Center. Kalita Humphreys died in a plane crash in 1954 and her parents donated $120,000 to the theatre as a memorial. 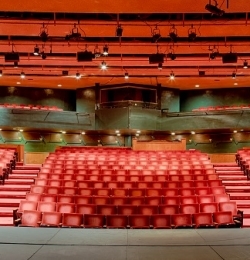 During the 45 years of regular use, more than 500 plays were performed in the theatre, until the final full season of 2007/2008. The theatre was recognized as a historic City of Dallas landmark in 2007.